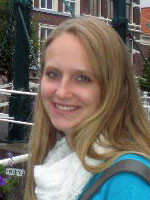 Lidewij van de Peut studied Assyriology at Leiden University, the Netherlands, with a special focus on the Akkadian and Hittite language. Her primary research interests include ancient Near Eastern literature, Akkadian and Hittite literature in particular, processes of text transmission including the reception of ‘foreign’ literature, intertextuality, performativity, and scribal practices in ancient Anatolia and Mesopotamia. Lidewij van de Peut is doctoral fellow at the Excellence Cluster Topoi and within the program “Ancient Languages and Texts” (ALT) of the Berlin Graduate School of Ancient Studies (BerGSAS).